People who are planning their relocation as a family should start by looking for schools. 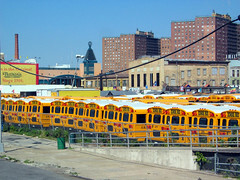 Many relocation agents say that your choice of school determines the neighborhood in which you will live. If you are going to place your child in one of the many excellent state schools, you have to live in the C catchment area. If you choose to go private, then your neighborhood is not as important, but transport is an ever present issue in London and you’ll want your children to be able to get to school as fast as possible after moving here. International schools are an excellent alternative for many Americans moving to London. The International Baccalaureate (IB) is considered the most rigorous curriculum in the world. Recognized by universities and colleges the world over, it is the highest standard of education that you can give your child. The ISL has two schools in greater London and accept pupils from around the globe from the ages of 4 – 18. With a small number of students, only 330, accepted into the school, it assures parents of an excellent pupil to teacher ratio, individualized tuition and an all-round program of activities, sports and academics. The school offers transportation from door-to-door in central, south and west, which is ideal for families planning their relocation. Pupils are accepted to the school throughout the year and you will have to provide a copy of their previous school report. It is truly an international school and run extensive mother tongue language programs for younger children. If you want to give your children an international relocation experience while you are living in London, then choosing one of the fine independent international schools is a great idea. Once you have chosen a school, you can inform your relocation services agents who will find you a new home in a neighborhood that is close to the school. Settling in can be a challenge for children after your relocation. Getting them settled into school and into a peer group is one of the fastest ways to get them into the experience of life here.